Got a sweet tooth? Skip the nutritionally starved table sugar for these 5 natural sugars that may also help keep blood sugar in line. Nixing highly processed sweeteners like white sugar and high fructose corn syrup from your diet is one of the smartest dietary moves you can make for your physique and overall health, but that doesn't mean your daily menu can't have a little sweetness to it. These days, a wide and wily world of alternative sweeteners awaits on store shelves. Each of which provides a viable alternative to sweetening your oatmeal, coffee, or post-gym shake in a less processed and—in many cases—more flavorful way. By no means do so-called "natural sweeteners" give you a license to spoil a sweet tooth rotten, and this is especially true if you have type-2 diabetes or its precursor, prediabetes. But these options are at least a step up from what's pumped into sugary drinks, fruit-flavored yogurt and cereals adorned with cartoon characters. If pancakes could speak, they'd surely say to maple syrup: "You complete me." When you slice into the bark of a maple tree it bleeds maple sap, a faintly sweet liquid that can be boiled down into syrupy sweetener. A recent study in the "Journal of Agricultural and Food" research discovered that this tree goo possesses a wide diversity of good-for-you antioxidants—including some unique to the sweetener. And unlike geometry class, here is one example when a lower grade reigns supreme. Canadian researchers found that darker and more robust tasting Grade B maple syrup contains greater antioxidant firepower and higher levels of minerals such as calcium than lighter shades of syrup, often labelled Grade A. "If pancakes could speak, they'd surely say to maple syrup: 'You complete me.'" So go ahead and add a touch of maple syrup to your oatmeal, yogurt, or cottage cheese, but expect to pay up. 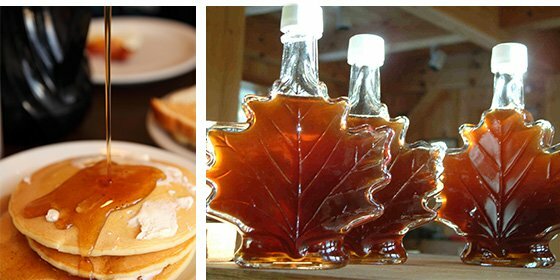 It takes a whopping 40 liters of maple sap to produce a mere liter of maple syrup, which is why it can be pricey. Need to know: Inferior imitation syrups (Hello, Aunt Jemima!) may not contain any real maple at all. For the most part, what's in those bottles is just corn syrup and some mystery flavoring generated in a lab. In recent years, coconut sugar has become a ubiquitous presence in health-food stores. This now popular sweetener is made from the sap of coconut palm flowers, which is boiled into thick syrup, then dried and finally ground to produce a granulated sugar with a flavor reminiscent of caramel. Though concrete data is still lacking, it's believed that coconut sugar has a lower glycemic index than white sugar or brown sugar (which is just white sugar with a fleck of molasses left in). The upshot is that it may not lead to dramatic spikes in blood sugar, so it may help keep your energy levels on a relatively even keel and discourage body fat storage. "Coconut palm sugar is made from the sap of coconut palm flowers, which is boiled into thick syrup, then dried and finally ground to produce a granulated sugar with a flavor reminiscent of caramel." As with other so-called "natural" sweeteners, coconut sugar is likely a source of a small amount of nutrients such as iron, magnesium and B vitamins. The tropical delight is also one of the most sustainable sweetener options on store shelves. Palms produce about 50-75 percent more sugar per acre than sugar cane does. Need to know: You can use coconut sugar as a straight replacement—one cup for one cup—for white or brown sugar in almost any recipe. Honey is produced from flower nectar by industrious worker bees, and in the United States alone, there are more than 300 varieties, ranging from light and floral to dark and assertive, depending on the bees' nectar source. Research has shown that honey—particularly dark, unpasteurized varieties such as buckwheat—contains health-boosting antioxidants. Antioxidants are compounds that roam our bodies looking for cell-damaging free radicals to mop up. Free radical damage is thought to be one factor in delayed recovery from intense workouts. "Research has shown that honey—particularly dark, unpasteurized varieties such as buckwheat—contains health-boosting antioxidants." University of Wyoming researchers found that honey induces less of a blood sugar spike than table sugar after consumption. Hey, honey here's some more good news: A "Journal of Strength and Conditioning Research" study reported that athletes who consumed honey during endurance exercise experienced an upgrade in performance. 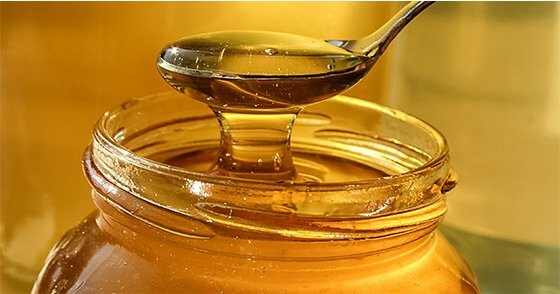 It's likely that the easily digested sugar in honey helps to fuel hard-charging muscles. The bee sweetener also possesses strong anti-bacterial properties. Need to know: The types of heat-treated honey most often sold in the plastic bear such as clover are lower in antioxidant and anti-bacterial capacity. Keeping this in mind, it's always best to seek out better-for-you-and-the-planet raw honey produced by a local bee keeper. This up-and-coming sweetener is gleaned from a vine-ripened sweet melon grown in China and Southeast Asia. Luo han guo in Chinese parlance, it has a long tradition as a herbal remedy in China. The latest darling of the alternative sweetener world is often marketed as being zero-calorie; however, each teaspoon serving does contain about two calories. In comparison, regular white sugar has 15 calories for each teaspoon serving. So monk fruit extract can be a way to slash sugary calories if you suffer from a sweet tooth. Some people find that it lacks the bitter aftertaste associated with several brands of stevia. "Monk fruit extract can be a way to slash sugary calories if you suffer from a sweet tooth." Need to know: Monk fruit extract in its granulated form is 200-300 times sweeter than sugar derived from sugar cane. So that a little goes a long way. It's best to follow conversion charts supplied by manufacturers. A sweetener and whole food in one—who knew? As its epithet implies, this sweetener is made by finely grinding dates into a powder. The upshot is that it contains all the fat-fighting fiber and nutrients such as vitamin B6, iron, and magnesium present in whole dates. So when you're looking for a little something sweet to sprinkle on top of your morning bowl of oatmeal, give date sugar a try! "As its epithet implies, this sweetener is made by finely grinding dates into a powder." Need to know: You can use date sugar as a 1:1 replacement (albeit a bit of a spendy one) for brown sugar in many recipes. Keep in mind that it does not dissolve into liquids particularly well, so it may not be the best choice for your daybreak coffee. A Final Word: Despite their benefits over heavily processed white sugar or high fructose corn syrup, none of the previously mentioned sweeteners can match foods like fruits, vegetables, and whole grains with respect to nutrients and disease-thwarting antioxidants. Even if you use these sweetener upgrades, you'll want to watch your portions carefully to avoid unwanted Buddha-belly. Paleo Smoothies: 5 Must-Try Smoothie Recipes! Pass on processed and give paleo a try with these 5 supercharged shake recipes! Trade the dining room table for the picnic blanket with these healthy summertime recipes!